Honey. It’s golden and delicious; drizzled on toast, poured over porridge or even spooned into green tea, but where does it come from? Bees of course! We’ve all known this since we were very small, but how often do we think about the fascinating creatures and processes that bring bright, sweet, golden honey into our kitchens? Honeybees, or Apis mellifera, are incredible insects, native to Europe, Asia and Africa, and lives in a complex, three-caste society composed of thousands of individuals. These little machine-like creatures are the world’s best workaholics and have an incredible environmental impact, creating a rewarding hobby for over 3500 members of The Federation of Irish Beekeepers Association and accounting for the production of over 5% of our nation’s food supplies in the form of pollinated Irish fruits and vegetables. Unfortunately, wild bees now only make up 20% of the total Irish population due to threats like predation and disease that bees are ill-equipped to deal with in the wild. Due to this, the majority of our bee population live in hobbyist hives all around the country, with commercial profit-driven beekeeping operations rare in Ireland and frowned upon by many keepers due to the health, sanitation and welfare of the bees dropping as the amount of hive to any one keeper grows. While beekeeping can be a profitable hobby with just a handful of healthy hives producing pounds of honey to use, gift to friends and neighbours, or sell at the local farmers market, it can also be precarious with many not making it through their first year. This is because of a wide array of diseases and threats, which include factors such as the distance needed to travel to find plants. Bees that travel 3 miles or more live significantly shorter lives due to pressure from flying and predation. However, for keepers who do make it through the critical first season, the organised, mechanical nature of the bees offers a deeply technical hobby that requires the involvement of both the FIBKA and other beekeeping locals. As a result, a profitable and environmentally friendly and socially stimulating hobby is created. 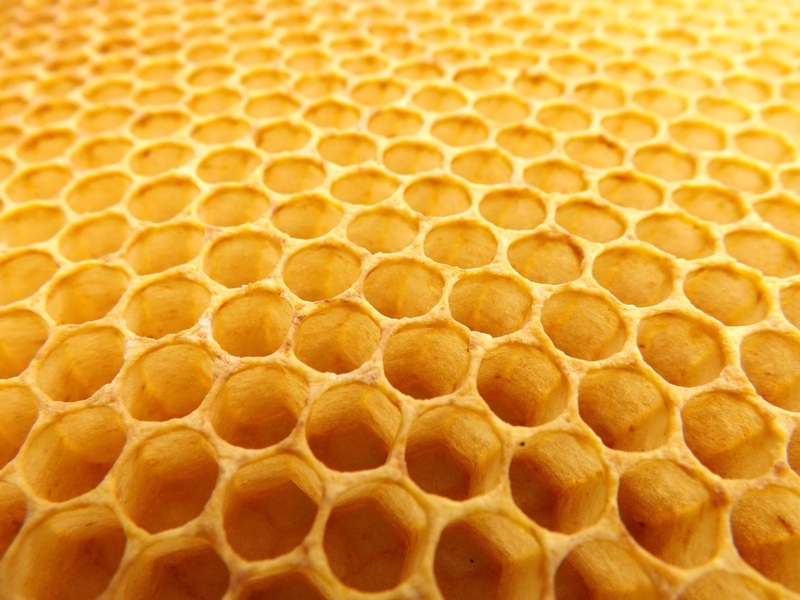 Experts recommend starting with just one hive, which with equipment can cost €200-€400. If all goes well, this one hive can expand to two in the second year of cultivation. Beekeepers must ensure a nearby source of bee-friendly plants such as lavender, white clover and heather as well as a sufficient natural or artificial source of water. This is because honeybees use large amounts of water to regulate temperature and moisture levels within in their hives. A good time to begin to order both bees and other equipment is winter, ready to set up come spring. Beginning as a beekeeper can be intimidating, according to a Mayo hobbyist who I had the pleasure to interview, as the colony will require lots of protection, especially from parasite, predators, the aforementioned disease and even pesticides. Unlike their large domineering yellow cousins, who spend their summers destroying your picnic, honeybees are relatively harmless when they’re not defending the hive. However, for keepers in close proximity everyday, getting stung is an occupational hazard. For you or I, bee sting is a painful thing often immediately followed by itching and swelling. Fortunately, during peak season, many beekeepers often build up a resistance to the normal reaction following a sting. This causes the beekeepers to suffer little of the expected symptoms of a bee-sting. In spite of this resistance, keepers still do everything in their power to prevent stings. This includes the correct use of smokers used to sedate the bees. It also goes without saying that each beekeeper must always wear their gear correctly. This, coupled with gentle actions and light colours, help minimise the risk of getting stung. In Ireland, the main authority for beekeepers is the Federation of Irish Beekeepers Association, who offer many supports to beekeepers both new and experienced. This includes summer trainings courses held annually in Gormanstown, local courses over the winter, a comprehensive monthly insurance pack, monthly magazine An Beachaire and so much more. The Federation protects keepers, allows the distribution of pure Irish honey and does a lot of good work to help protect the Irish environment that is so critical for these tiny pollinators. Yet, beekeeping is not just important as a hobby, or as a way to make honey. It also plays a vital role in our ecosystem and food supply chain. Bees are essential for our survival, and this explains that passion that beekeepers often have for the hobby. Bees are responsible for pollinating about one-sixth of the flowering plant species worldwide, and approximately 400 different agricultural types of plant, helping to produce roughly $19 billion worth of crops in the US in 2010. To say they are important to sustain the agricultural industry would be a vast understatement! As bees tend to focus their attention on one species of plant at a time they make amazingly accurate cross-pollinators, successfully transferring pollen from one plant to another of the same species, allowing for pollination of a much higher quality. Without bees, at least a third of our staples would no longer be available. Aside from this, bees also facilitate the pollination of flowers providing us with beautiful blooms. While this may be the least economically important effect, there is no arguing that it is the most aesthetically pleasing. This, coupled with the $150 million industry that comes from honey, I could safely say we would be pretty lost without these buzzy little bugs. So, the next time you swat at an irritating little bee or smear honey on a teacake, maybe think of all the hard work this little guy does with help from his friendly keepers.